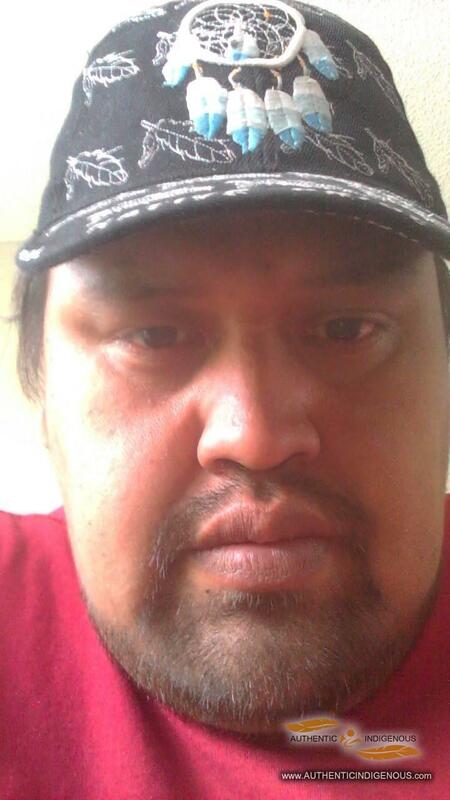 My name is Haul Mack, and I am from the Ditidaht and Ahousaht First Nations. My mother Grace Marshall, and my maternal grandparents are Tony Marshall and Evelyn Marshall. My art practice is extremely diverse, and includes: screen printing, carving, graphic work, airbrushing, computer graphics, and includes family crests and logo designs. I have always drawn and painted since childhood, and loved giving away my work as gifts. In school, I took every art class that was available, including graphic design and drafting. I am largely self-taught, and did not apprentice with any carvers, however, I come from a talented family, so I’ve always been surrounded by and involved in the art. My family, led by my grandmother, Evelyn Marshall, often created a range of art works that we sold at conferences and other gatherings. My first introduction to traditional painting, designing and carving came mostly from books and frequent visits to the local museums. 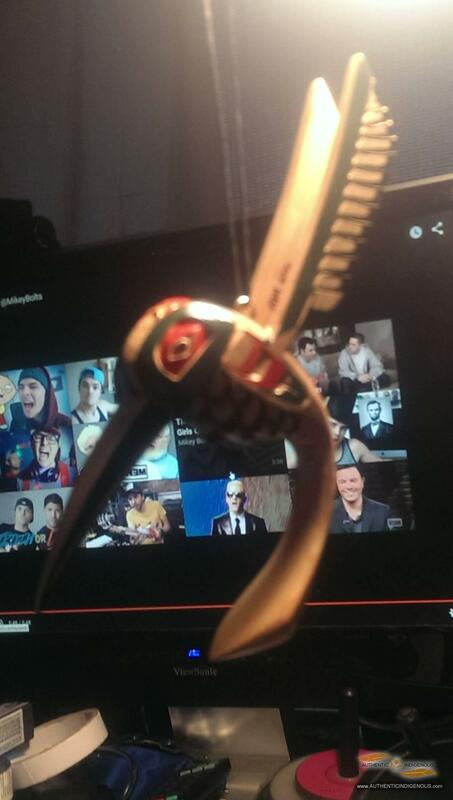 My first carving was made while I was in Boy Scouts…I used a pocket knife that was given to me by my grandfather. I am an innovator, self taught, creating my own style as I go…when carving, I hope to offer a sort of cross-cultural teaching to people about traditional art and possibilities about contemporary art practice. Creating my work by hand is central to my practice, and as such, I tend to shy away from mass production. 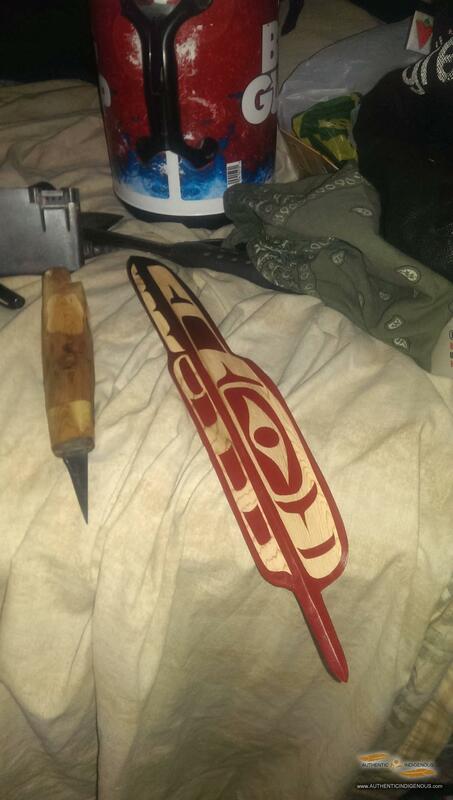 When I carve, I create my own tools including adzes, knives; and use these to make drumsticks, wall hangings and other items for sale. Craftsmanship is very important to me, so I enjoy hand cutting stencils for things like glass work. Recently, I have been enjoying my time selling my work on the waterfront in Nanaimo. I enjoy connecting with my customers and meeting people.